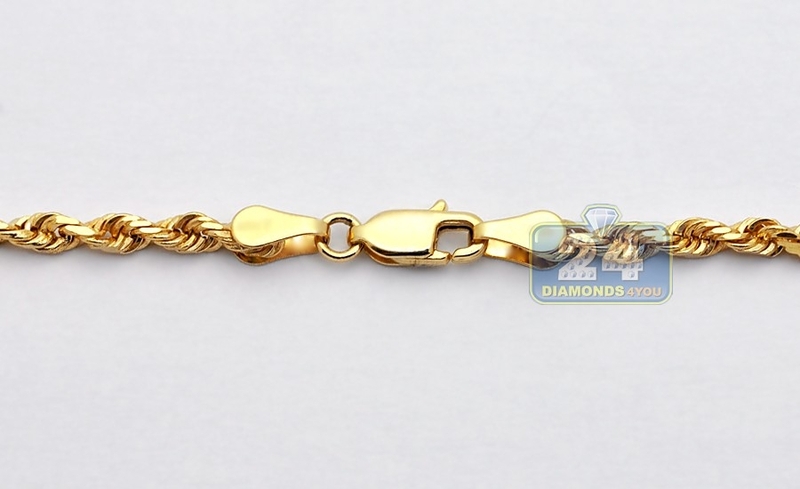 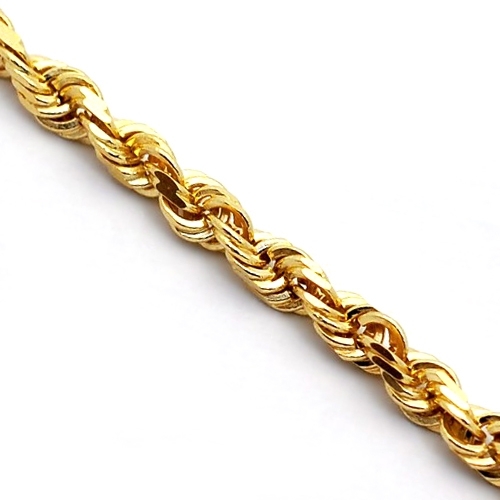 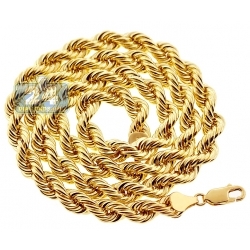 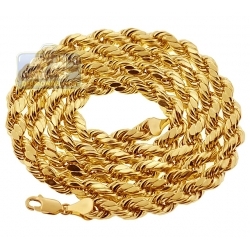 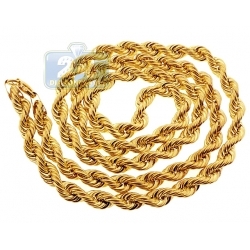 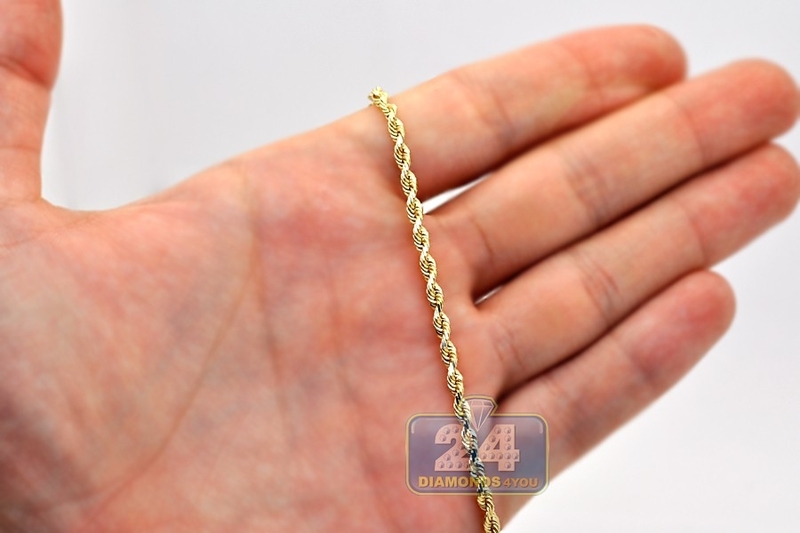 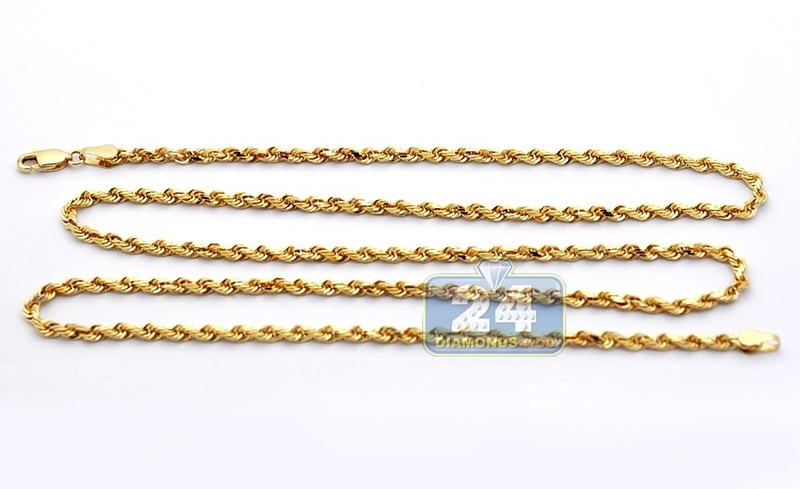 Solid 14K Yellow Gold Mens Rope Chain 3 mm 22 24 26 28 30"
This solid rope chain is the perfect way to show off your classic sense of style! 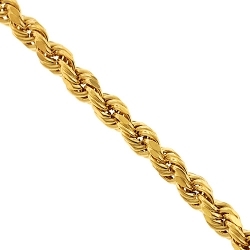 It's artfully produced from Italian 14 karat yellow gold, and precisely polished to add an ultra shiny look. 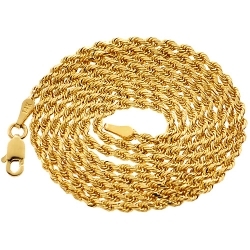 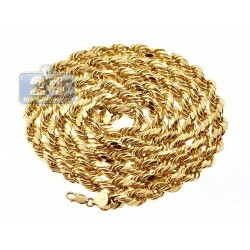 Our solid gold necklace features 3 mm in width, and comes in length of 22, 24, 26, 28 or 30 inches. 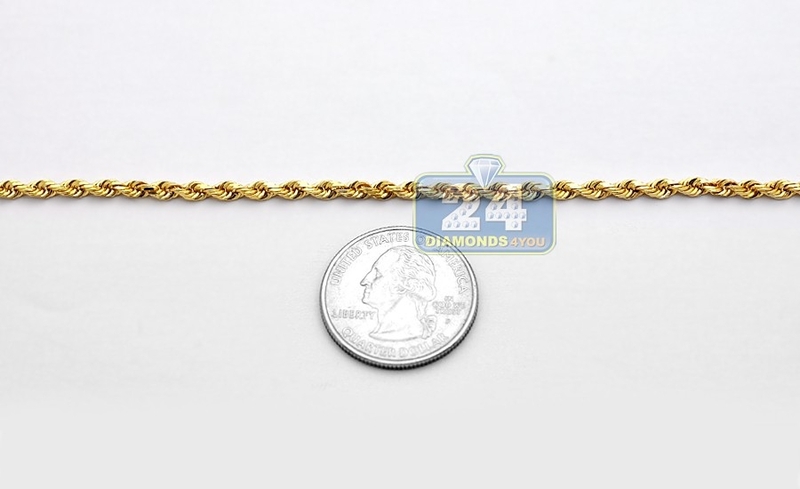 Depending on size, its weight varies from 17.2 to 22.1 grams. 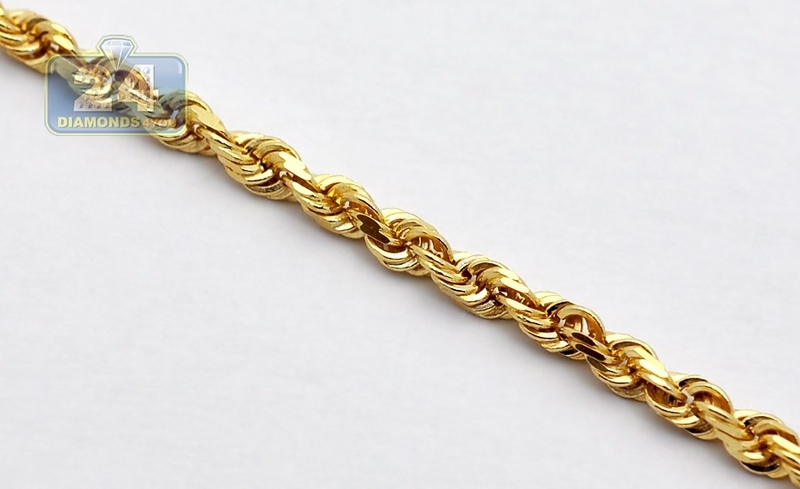 The piece is secured by a comfortable lobster closure. 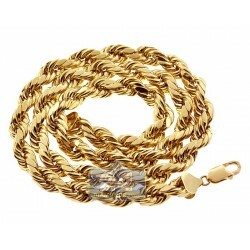 Timeless rope chain for men is now more affordable than ever! Greatly made, top quality! 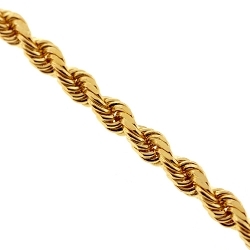 Can't stop wearing it!